Of course, there is an national day for just about everything. But observing ‘National Pie Day’ on January 23 does recognize a long tradition in just about everyone’s family. The word “pie” — defined as a baked dish topped with and sometimes also surrounded by pastry — may well derive from the Latin word pica, meaning magpie. But it’s not long before the word pie starts to turn up with its edible meaning. Pie has been around since the ancient Egyptians. The first pies were made by early Romans who may have learned about it through the Greeks. These pies were sometimes made in “reeds” which were used for the sole purpose of holding the filling and not for eating with the filling. The first pie recipe was published by the Romans and was for a rye-crusted goat cheese and honey pie. The Romans must have spread the word about pies around Europe as that the word pie was a popular word in the 14th century. The early pies were predominately meat pies. 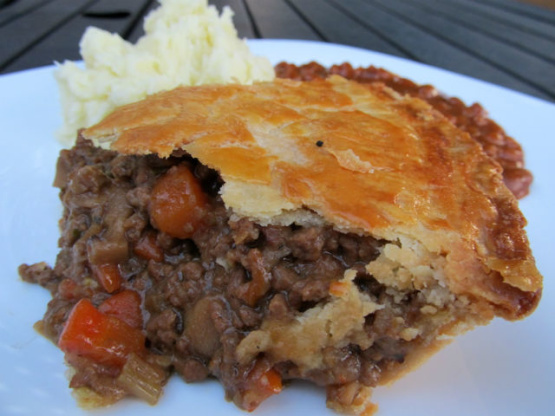 Pyes (pies) originally appeared in England as early as the twelfth century. The crust of the pie was referred to as “coffyn”. There was actually more crust than filling. Often these pies were made using fowl and the legs were left to hang over the side of the dish and used as handles. Fruit pies or tarts (pasties) were probably first made in the 1500s. English tradition credits making the first cherry pie to Queen Elizabeth I. The pie came to America with the first English settlers. The early colonists cooked their pies in long narrow pans calling them “coffins” like the crust in England. As in the Roman times, the early American pie crusts often were not eaten, but simply designed to hold the filling during baking. It was during the American Revolution that the term crust was used instead of coffyn. The Pilgrims who colonized America brought British forms of their pies of meat-based recipes with them. 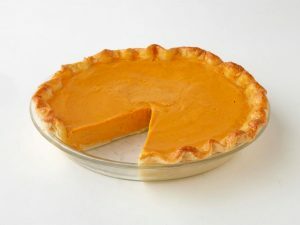 Pumpkin pie, was first recorded in a English cookbook of 1675. It originated from British spiced and boiled squash. However, pumpkin pie was not popular in America until the early 1800s. 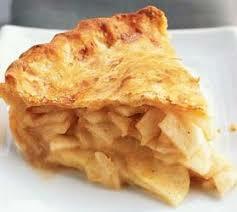 Then there is American apple pie. The first written apple pie recipe goes back to 1381 in England; it was printed by Geoffrey Chaucer and included apples, figs, raisins, pears and a pastry shell (but no sugar). 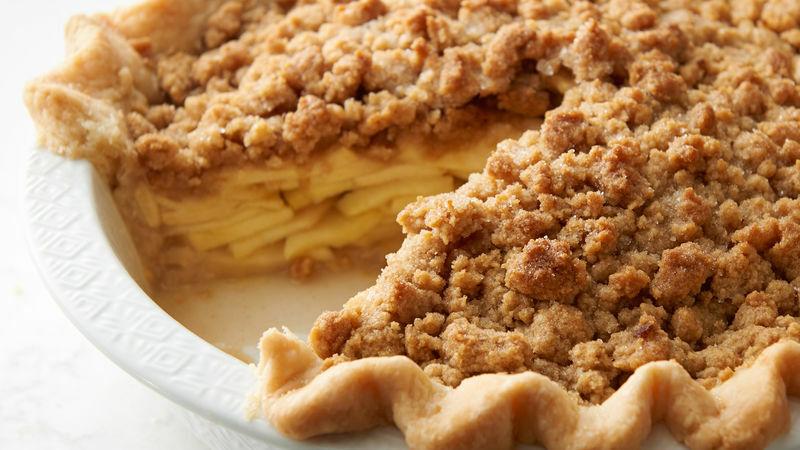 Evidence of Dutch apple pies (without a top flaky crust) goes back to the 1600s. Apples have been grown for thousands of years in Asia and Europe, and were brought to North America by European colonists. Apple pie as used in the phrase “as American as apple pie” describes something as being “typically American.” ” In the nineteenth and twentieth centuries, apple pie became a symbol of American prosperity and national pride. Since pies have a long history, check with other relatives or an ancestor’s cookbook and see which pies were favorites and served throughout the year. Good time on National Pie Day. Photos: Apple pie, pumpkin pie, English meat pie and Dutch Apple pie.